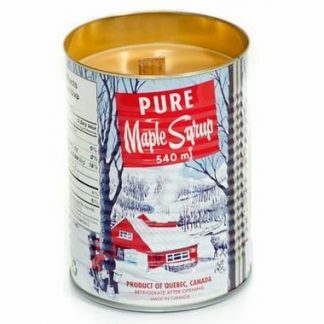 Handcrafted with the sweet scent of maple, the Maple Syrup Tin Candle duplicates that very authentic smell. 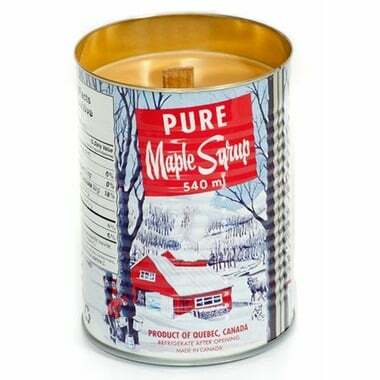 Made of 100% Natural Soy Wax. 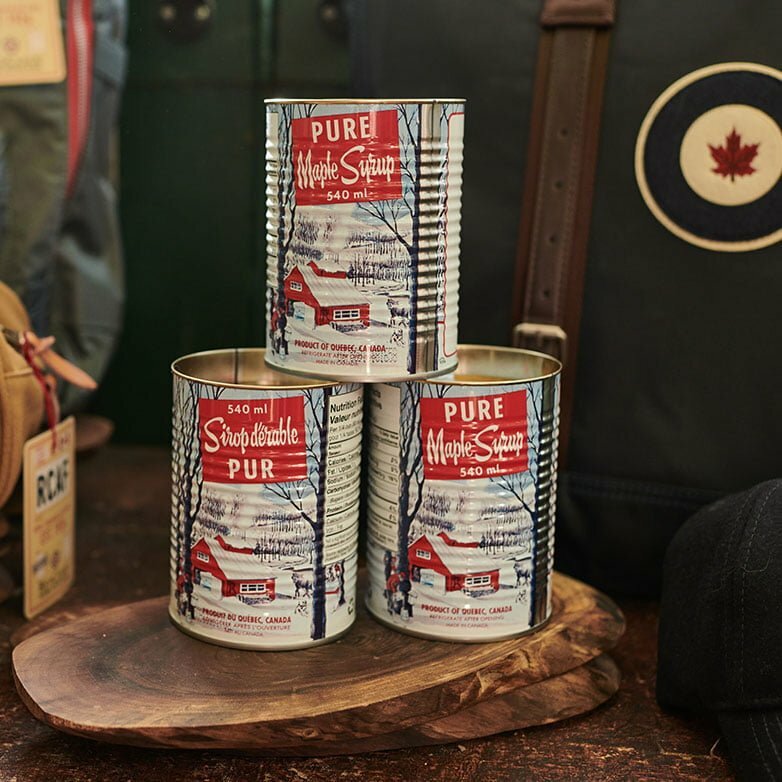 Each artisan wick is made of natural wood using “good forestry” practices. Listen to the crackling sound of a fireplace when the candle is lit.